he ski area of Marbachegg lies in the UNESCO Entlebuch Biosphere Reserve, the only such reserve in Switzerland and noted for its Alpina flora and fauna. There are stunning views across to the Jungfrau from the (relatively low) summit. Most of the runs can be accessed from the gondola top station, with a surface lift servicing the other runs and the snow park, which includes a half pipe. 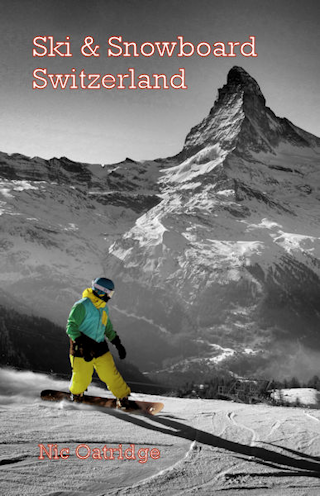 All round a good little resort for families, beginners, early intermediates and snowboarders. 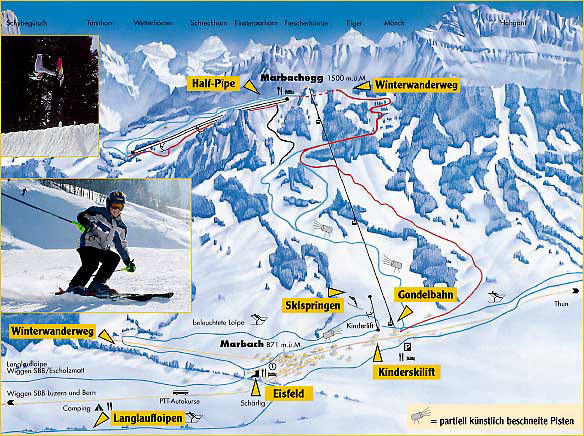 The best destination to access the downhill slopes by public transport in this ski area is Marbachegg, Talstation. Bus stop adjacent to gondola. From Basel the least travel time is 2 hrs 05 mins with as few as 2 changes going via Bern / Escholzmatt. The road distance from Zurich is around 100 km and the journey time is roughly 1 hr 26 mins. The road distance from Basel is around 114 km and the journey time is roughly 1 hr 30 mins.